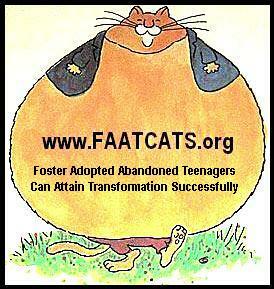 November Blog … 29,000 10 to 17 year old Foster Boys are looking for help every year. If you have run a shop for any amount of time, finding and keeping good help is always near the top of the list. At ever class I taught in 2017 I included a slide that spoke to the plight of American foster children. First the chilling numbers. Over ½ million American kids have been removed from their homes for their own safety. 130,000 have had gone through, or are in the process, of legally being freed to adopt. In other words they need a new forever family. 29,000 of these kids will never get adopted and will age out of the foster care system at eighteen to twenty one without being attached to a family of their own. 29,000 American kids (per year) will not have a family to spend vacations, holidays or their birthdays with. Those are the facts, as sad as they are. Each year it gets worse. You can help. When Deb and I found out in 1992 that we could not conceive our own children, we were sad, mad, frustrated and lost. After some real soul searching and an education in all types of adoption, it was clear to us there were kids in our area that really needed parents, a home, love, family, discipline, and a future. We didn’t need to go outside the USA to help a child find a home, there were plenty right here. At the same time Deb and I were building the Massachusetts ASA chapter, we were also preparing a home for what would be two foster-adoptions. Mike was first at age 5. We took him in as our own, adopted Mike and started our family. Will was next at age 15. Now the boys are 26 and 32. They are doing well after some very rough times. It was more than worth it. We didn’t need baby pictures; we just wanted to be parents. Deb and I knew we could do a good job. At Van Batenburg’s Garage, Mike and Will helped with trash, clean up, worked on company vehicles, and did some computer work. Mike and I started work on an old Honda Accord that will be his later on. Working with my sons added more than just a cleaner shop. It helped them learn, helped them develop skills they will need to succeed in the real world, a not so nice place at times. Both of my sons know how tough the world can be and learned at much too young of an age. What they need now is to learn survival and success skills. Fixing cars can do that. If you have been employing young people, you have been dealing with some bad behaviors. You already know what to do keep young people in line. I have an idea! Why not learn more about the foster teenagers that live in your home town, visit with them and offer them a job, a future and maybe even a home. There is more to life than work. Why not make your career a place for foster kids too? P.S. Why do we work with boys 10 to 17. At that age almost all of these boys will never get adopted. Girls gets adopted at any age. How long before Electric Cars are Mainstream? I talked to Marc Pons, a shop owner we work with in North Carolina, about this subject recently. If you read the Wall Street Journal or Automotive News out of Detroit, both well respected news outlets, you will see a theme. EV’s are on their way and there is no stopping it. You can slow it down with news stories bought and paid for by any large corporation that would not benefit, but electric drive is the future. You may choose not to believe it. Volvo and Tesla are believers. Many more OEM’s are making future plans that see the future as I do. But what about independent auto repair shops? Where do you fit? How will this change your business? If you have 3 techs and they work 49 weeks a year and your customers are loyal you need about 1,000 cars per tech, if your customer has one car each. 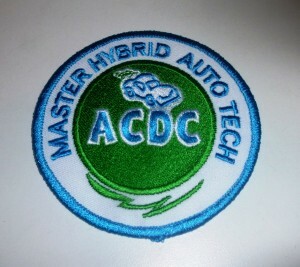 Many customers are not loyal so 2,000 cars per tech is more like it. ACDC owns 2 pure EVs, a 2011 Nissan Leaf and a 2017 Chevy Bolt. If these cars were the only ones on the road and you only serviced them you would need about 10,000 loyal customers per tech if everything else was equal. That means you will have 90% less work. If I am off by 20% and pure EVs need more work than that, you will need 7,000 cars per tech. That changes your business model and the shop must change too. Can you still make it? Sure if we lose 70% to 90% of our service bays and techs? Will that happen? It is happening now. Which side do you want to be on? In the fall of 2012 a referendum in my home state passed with a large margin to make Massachusetts the only state (still is) where an independent shop can sue the manufacturer of a motor vehicle (gas or electric) if the OEM did not keep the playing field level in terms of service information, replacement parts, tools, equipment, software updates, scan tools and training information. It is NASTF (National Automotive Service Task Force) with teeth. The law has never been tested but it is clear to me that Tesla is in violation. If your Tesla failed our annual strict safety test you must have it fixed at the repair shop that did the test or tow it to the shop of your choice. Every car in my state gets tested every year. Obviously our emissions test does not apply to pure electric cars. Most car owners bring their vehicles to the shop they like and if something is wrong it gets fixed. 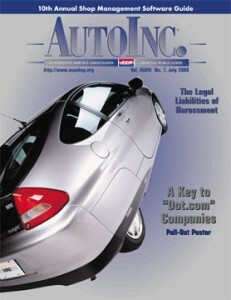 Most owners will drive to another shop if it failed safety not knowing it is illegal. Those are the facts. Expect things to change soon as Tesla delivers more Model 3 cars. Currently if a Tesla Roadster, Model S or X failed for a safety defect (like a loose ball joint) you must have it fixed by Tesla, even out of warranty cars. That is not allowed in Massachusetts the way I read it as any shop should be able to make the car safe again. 2017 Chevy Bolt 60 KWh pack. I sent a request to Identifix for some technical information about the new 2017 Chevy Bolt ACDC has just acquired. Well guess what? I received some great info about the Volt. Then an ACDC shop called about the faster charger on the Bolt and I explained that the Volt does not have fast charging. This was all in the span of 3 days so here I am with a communication problem that makes it hard to talk about two great GM cars, the Volt and Bolt. Then I remembered a trip to Berlin last year and a strange little car called the “Trabant” and I knew I had the answer to my problem. Now at all my spoken classes we have a Volt and Tlob. Yes, that is Bolt spelled backwards and it works. Easy to say “Till-ob”, just smoosh it all together and presto, no more problem. Everyone in the class knows what car I am referring to and now learning can happen. Welcome to my world of “Tlob”. 238 miles to a charge, fast, fun, affordable and no more gasoline. I may even call it a “Tlobant” . It has a nice ring to it. To learn more about the Chevy “Tlob” watch for an Email inviting you a Free (sort of) one hour live Webinar soon to help raise needed funds for some special boys. When a monthly bog is done over two months, it means one thing, ACDC is busy. But writing this helps keep me sane. Some would say it is not working. I fixed cars and motorcycles for a living from 1967 to 1977 for someone else and ran my own shop from 1977 to 2004. As a veteran of the motor vehicle industry I am sometimes amazed at the talent a technician must have to tackle a tough problem with confidence and determination. The sheer amount on knowledge is mind boggling. 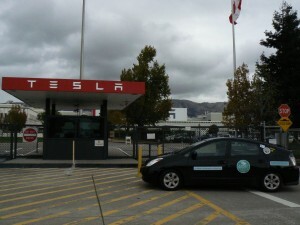 Will Electric Cars make that job harder? That topic was discussed at a class I taught in New Hampshire recently. 1. How many ways can a gas (or diesel) motor vehicle fail that causes a check engine light or drive ability concern vs. a battery only car (EV)? 2. How many sensors and systems does each car have compared to each other? 3. 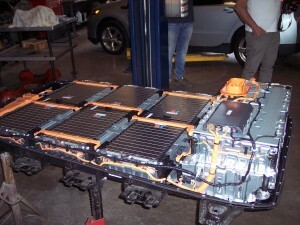 Can carbon build up cause issues with EVs? 4. Understanding the “wheel to grave” issues, are any cars carbon free? 5. Knowing that CO, HC, NOx and CO2 are created just to travel on wheels (not included are foot powered types) what is your best choice? 6. 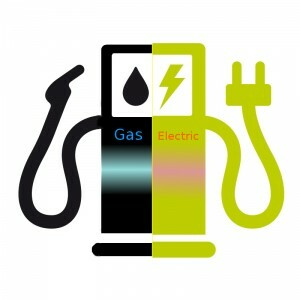 What type of electrical generation is used in the driving of EVs in your area? These and many more valid questions we raised and answers given. There were no “climate change deniers” so no fights broke out. As the industry moves forward cars will change even more. Some of you may move with the changes. Trends will come and go (like fins on Cadillacs). Knowing the answers to questions is what technicians get paid to do. Installing the parts in secondary. 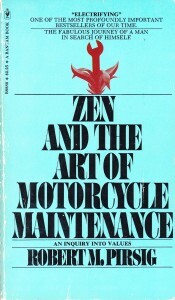 Lastly, if you are looking for a good book to read get a copy of “Zen and the Art of Motorcycle Maintenance”. I read it when it came out in 1974. The author, Robert Pirsig, died recently so I ordered another copy. It has a way of lifting up those that can fix things. Love him or Not, Obama supported the US Auto Industry, Electric cars and clean energy. Will the new administration make it harder for an American shop to be successful in the hybrid or plug-in market? I have stayed away from any mention of President Trump so far in regards to my business dealings. So why bring it up now? I received a call from a shop owner named Larry in the mid-west that asked me that question. It was a thoughtful discussion. I didn’t ask who he voted for. 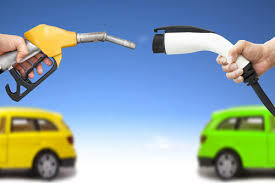 We first talked about President Obama and his policies about MPG, CO2, EV’s, renewable energy and so on. I stated that the last administration took good care of my family, my interests, my community and ACDC thrived during a tough economic time. Larry was afraid that now may not be a good time to add hybrid and EV’s (he was already in the process with a charging station installed and some training). The call was over 20 minutes long (During a busy day for both of us). We agreed that no matter what, electric cars were here to stay and hybrids are mainstream now, even in southern Illinois. The EPA is considering easing up on CO2 pollution. The fuel economy federal standards may be pushed back. The $7,500 EV tax credit may go away. Gas prices may stay low. Doesn’t this all sound like the hybrid and especially the EV market will collapse? Here is what I have seen since mid-January; sales of the new Bolt are doing well as is the Volt. Tesla 3 still has about 400,000 pre-orders. The Leaf is moving slowing with a new model coming soon. The RAV4 HEV is a hit and Prii seem to be everywhere. The Ford Fusion HEV and PHEV are selling as well as ever. ACDC is still setting records for classes taught in one year and our overseas business is booming. People like these cars. EV’s are fast and quiet. Presidents come and go. Ford is using aluminum for the F150 and adding more fuel efficient cars and trucks every year. GM is totally committed to high voltage cars and Toyota continues to make good plug-ins like the new Prime. The Hyundai Ioniq HEV beats the Prii in MPG. Who would have thought that would happen. 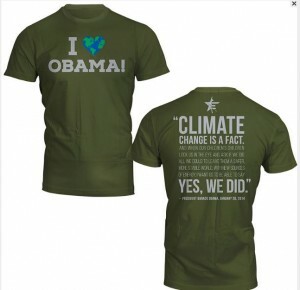 Do I like the changes in Washington D.C. in the world of environmental issues? Not at all, but the products are here and they are selling so don’t worry. In a few years things will change again. Yes, the political weather has changed (for now) so dress for the weather. Don’t get caught leaving your hybrid and plug-in customers out in the cold. They need you and want you to succeed. Don’t let them, your employees or yourself down. Deb and I are in our mid 60’s born 18 days apart. I am older by about 2 weeks, so that makes me wiser, right? OK, enough BS already. Deb and I have lunch together most days at home, which is a short walk from the office. The conversation turned to male shop owners over 60 and the frustration they feel in today’s world. Deb and I both get that. I ran my independent Honda / Toyota shop from 1977 to 2004. One shop owner said “While I am looking at a car and putting an estimate together these young kids are price shopping me on their phone in the waiting room”. Another mature owner “Fewer shop owners join trade associations and show up to meetings”. Still another “I feel all alone and I am making less money than before” or “Dealerships are taking away our customers”. I have been accused recently of “getting out of the business so why should I (meaning me) promote it?” Let’s address this and find a solution or two. 3. Why did I close my shop in 2004? ACDC was doing well. I was raising two boys and Deb was stuck at home with them too often. I also fell in love with hybrids and out of love with gas cars. It was never about the money, it was about the one life I have to live and what was important to me. I encourage people to give their best and stay in the game, their game, whatever that is for them. If you are done running your shop, then do something else. You don’t have to prove to anyone else or yourself that staying in business is a must. But if you are in the auto repair industry, do it well and find a way to stay positive. It is your shop and you have the final say in how it runs. I have lived in this state since 1963 when I moved from Utah. It has become a home to my wife, sons and many friends. To the east of Worcester is Boston about 40 miles away filled with people, cars and buildings. To the North are mill towns, forests and hills. Not too many people and a beautiful drive. To the South is one expressway that heads to Connecticut with mostly flat land and a haven for commuters that work in Worcester, but head west and you will find a part of Massachusetts that few ever really explore. In 1991 Deb and I had been married for a couple years and no kids. We decided that a chapter of shops from all over our state would help improve the automotive industry. 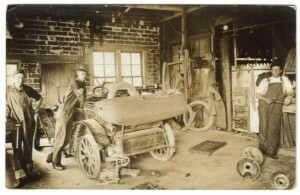 Van Batenburg’s Garage was a member of the Automotive Service Association (ASA) based in Texas. There were a few members scattered over the Bay State, so we decided to hit the road. After a couple years of enrolling shops with the idea “we were better together”, a chapter was officially formed. That was in 1993. It changed everything. It was all volunteers, so naturally I was the president for the first 3 years and Deb was the VP. We had meetings from Boston to the Western towns, brought in nationally known and local trainers. Had events and a yearly weekend conference. This was all before twitter and Facebook, pre computer and internet. This was face to face and fun. It did not last. Once Deb and I became parents, leadership changed hands, ASA national had some issues, and eventually the chapter ended but the friendships remained. Many shop owners moved into the training business and many techs took over the shops. This a normal progression but this ASA chapter was special. Some “carpet baggers” from out-of-state came calling, but shops saw them for who they were and the shops in Massachusetts have been better off ever since. A few days ago a man passed away that came out of that era. His “nick name” was Scooby. Dave DeCourcey was only 56. He was just a kid when I met him at a meeting in the mid 90’s. Skinny and smart. A tech at that time if I remember correctly. Later on his desire to help others was evident. He did mobile repairs and moved onto diagnostics. It was at a CAS meeting that he met Rick O’Brian that would become a close friend. Dave heard about Jim Linder when Doug Garriot came to Massachusetts and set up a booth. Vision in Kanas City was called Vision 2000 back then and as another ASA chapter event, it again was this great ASA group of shop owners and technicians that got together and headed out there. Dave became a well known and loved automotive technical trainer, but Dave was also a great part of an old chapter in the history books. Dave will be missed my many in this industry. And long before ASA was here, almost 25 years ago, Dave had his support in his family and friends. Today Deb and I will go to see his wife and kids. It is his wake in Spencer, Massachusetts. It will be a sad 20 minute drive. So what does all this teach us? Life can be short, follow your dreams, join your local trade association and pass on what you know. November 2016 .. Thanksgiving is about Family. What if you don’t have one? If you have run a shop for any amount of time, finding and keeping good help is always near the top of the list. At every class I teach a few minutes are spent discussing the plight of American foster children. First the chilling numbers. Over ½ million American kids have been removed from their homes for their own safety. 130,000 have gone through, or are in the process, of legally being freed to adopt. In other words they need a new forever family. 25,000 of these kids will never get adopted and will age out of the foster care system at eighteen without being attached to a family of their own. 25,000 American kids (per year) will not have a family to spend vacations, holidays or their birthdays with. Those are the facts, as sad as they are. Each year it gets worse. You can help. When Deb and I found out in 1992 that we could not conceive our own children, we were sad, mad, frustrated and lost. After some real soul searching and an education in all types of adoption, it was clear to us there were kids in our area that really needed parents, a home, love, family, discipline, and a future. We didn’t need to go outside the USA to help a child find a home, there were plenty right here. I respect all those that adopt from anywhere in the world as every child deserves a family. At the same time Deb and I were building the Massachusetts ASA chapter, we were also preparing a home for what would be two foster-adoptions. Mike was first at age 5. We took him in as our own, adopted Mike and started our family. Will was next at age 15. Now the boys are 31 and 25. Mike is doing well after some very rough times. Will is not. It was more than worth it. We didn’t need baby pictures; we just wanted to be parents. Deb and I knew we could do a good job. At Van Batenburg’s Garage, Mike and Will helped with trash, clean up, worked on company vehicles, and did some computer work. Recently Mike and I worked on his 2008 Civic Si that he bought (with the banks help) a few years back. Will takes the bus. Working with my sons added more than just a cleaner shop. It helped them learn, helped them develop skills they will need to succeed in the real world, a not so nice place at times. Both of my sons know how tough the world can be and learned at much too young of an age. What they need now is to learn survival and success skills. Fixing cars can do that. If you have been employing young people, you have been dealing with some bad behaviors. You already know what to do keep young people in line. I have an idea. Why not learn more about the foster teenagers that live in your home town, visit with them and offer them a job, a future and maybe even a home. There is more to life than work. Why not make your career a place for foster kids too?